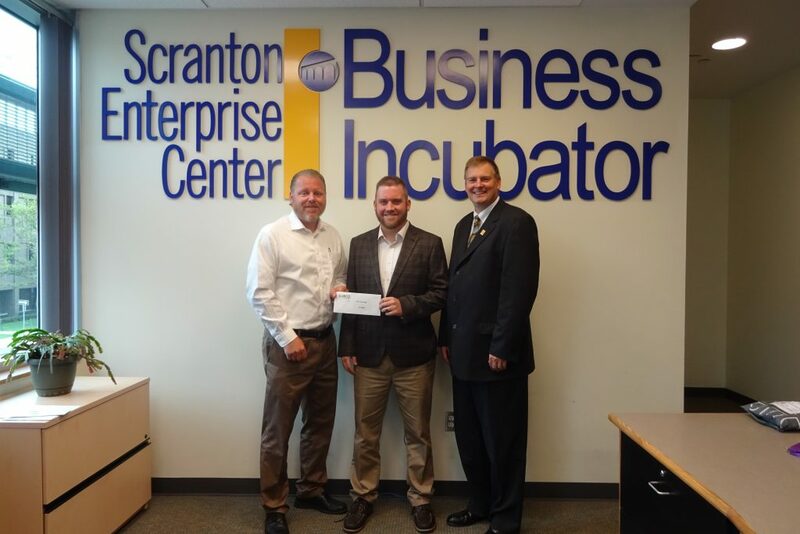 SLIBCO, the industrial development arm of The Greater Scranton Chamber of Commerce, recently awarded Business Incubator Client Sho Technology Solutions a grant for continued operating expenses. Funding for the grant was given through a “Discovered in PA, Developed in PA” (D2PA) grant from tecBRIDGE’s Incubator Support Program in the amount of $1,700. TecBRIDGE’s Incubator Support Program assists between 10 and 20 early stage companies with funding for office space, marketing and sales support with the ultimate goal of strengthening both entrepreneurial efforts and incubator facilities in our region. Owned by Jason Washo, Sho Technology Solutions is a software company located in The Chamber’s Business Incubator at the Scranton Enterprise Center that focuses on software solutions for its clients, including maintenance, sales, consulting and development. Sho also creates and hosts Android, iOS and Windows applications supported by private and public cloud servers.